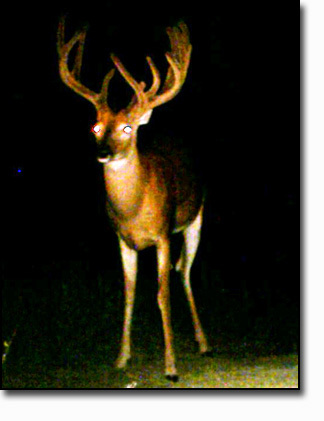 Nebraska is one of the sleeper states for big whitetails and we are in the best area for big bucks. Extremely good nutrition, low pressure on well managed private land and large ranches make the perfect combination for exceptional whitetail hunting. Combine this with reasonably priced tags which you are guaranteed to get and there just isn't a more economical way to enjoy a trophy whitetail hunt. Our hunts are very high success 80-100% from year to year. That's not opportunity, but dead on the ground, tag filled on a good buck success. Bucks will average between 130 and 150 depending on the year and our top end is 190. That's what makes this such a great hunt. Good numbers of mature deer and yet the sky is the limit on size for the hunter willing to pass up smaller bucks! 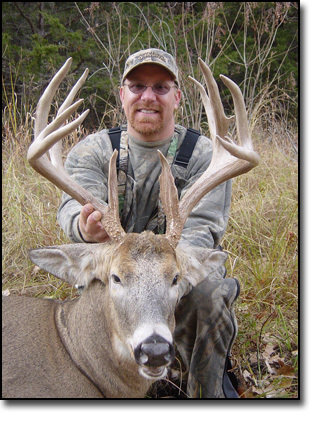 Whether you are looking for a Nebraska archery whitetail hunt, a Nebraska Muzzleloader whitetail hunt or a Nebraska rifle whitetail hunt, you've come to the right place for Nebraska deer hunting at its finest. For more detail on our trophy whitetail hunts, please go to the page for the weapon you hunt with. The sky is the limit. While many areas, due to nutritional factors, poor age structure or too high of deer density, have limited upside potential for big bucks, it's nice to hunt in areas known for producing world class whitetails. 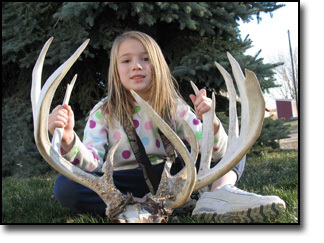 Here, the outfitter's daughter shows off a skull from a buck we caught on trail cam in 2005 on one of our leases. While the average buck we harvest will be in the 130-150 class, every year we will harvest some truly jaw-dropping gagger bucks. Buy your Nebraska Hunting Licenses Here!